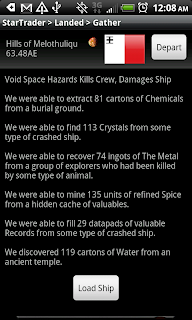 A new release of Star Traders RPG v3.1.0 has been released to the Android Market. This update is strictly a bug fix update and attempts to close some of the problems from the past 24 hours. This update should fix any problems that you are experiencing after the 3.0.7 or 3.0.8 releases.